And She Disapproves of her Husbun being poorly so expects you all to send lots of Power Of The Paw to get him well again.So please drop by their facebook page to send it. Thanks to their mummy Jenn for sending this one in. 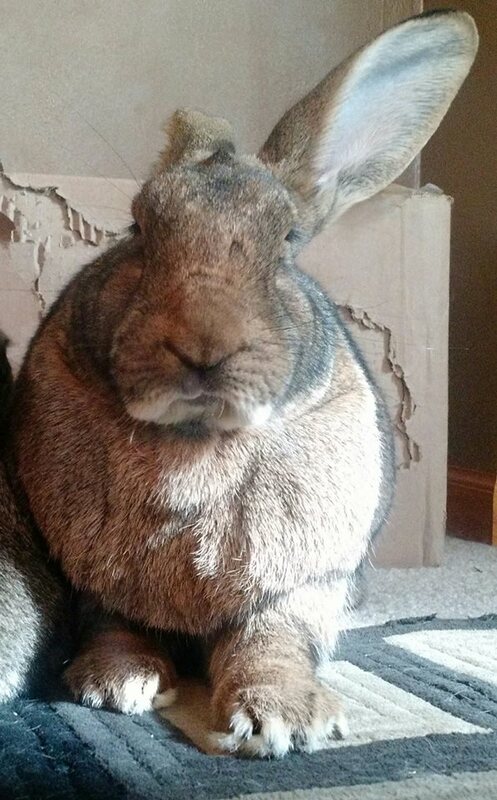 For More Disapproving Buns hop on over to Disapproving Bun! OK now next I want to thank you all for coming to my Pirate Party and next to tell you tomorrow's Post will be the voting for the best dressed Pirate so Make sure you come by to place your vote! I'd be hopping mad also. Speedy your pawty was pawsome! You are the most interesting bunny I ever met and I am happy to be your furrend. Sending prayers for her husbun. What a cute bunny. Wishing for the best with Walter ... what a beautiful bun you are Betsy! We send lots of purrs to Walter. Whoa. Miss Betsy surely DOES look like she disapproves! We have been away from Blogville too long. Sorry we missed your pirate day. We will have to come back and vote! Oh my!!!! This bunster is MAD as all get-out! Is she holding back one ear, or is she a one-eared rabbit? I saw one once in my garden!